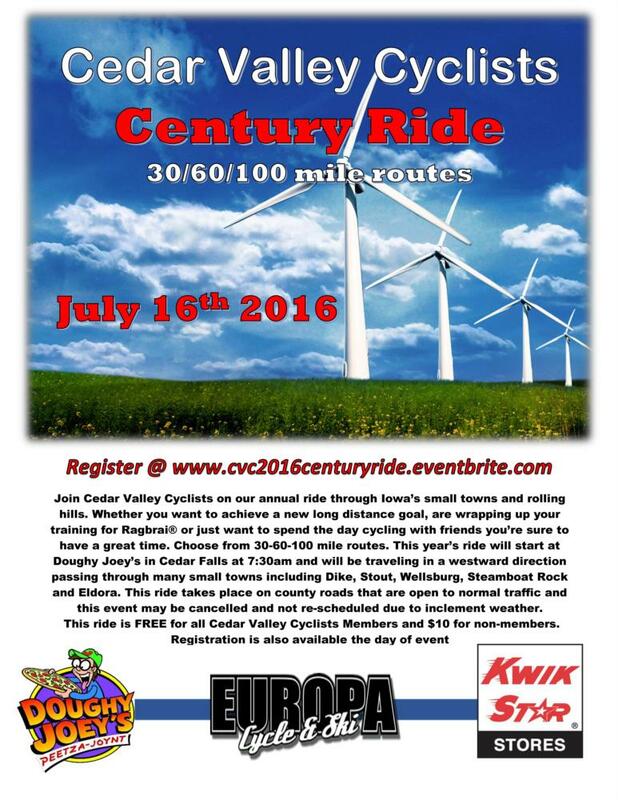 Join Cedar Valley Cyclists on our annual ride through Iowa’s small towns and rolling hills. Whether you want to achieve a new long distance goal, are wrapping up your training for Ragbrai® or just want to spend the day cycling with friends you’re sure to have a great time. Choose from 30-60-100 mile routes. 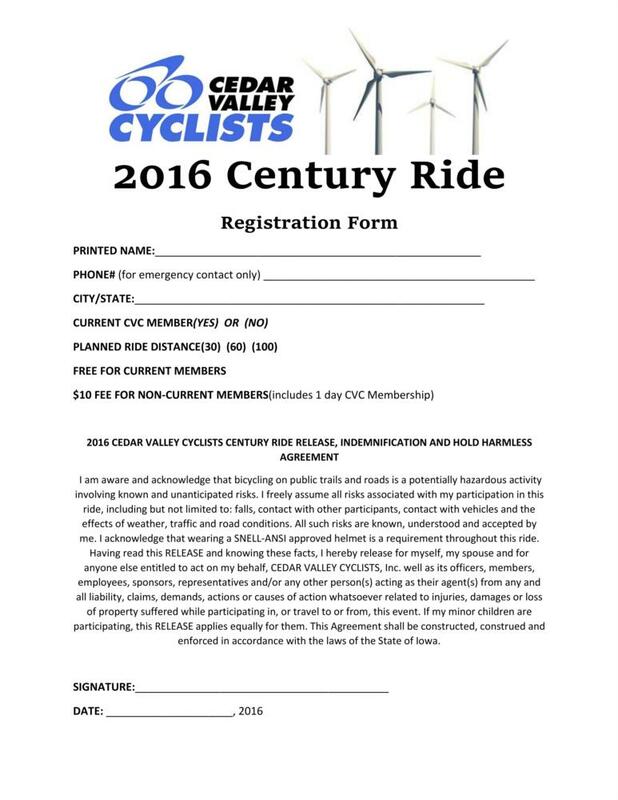 This year’s ride will start at Doughy Joey’s in Cedar Falls at 7:30am and will be traveling in a westward direction passing through many small towns including Dike, Stout, Wellsburg, Steamboat Rock and Eldora. This ride takes place on county roads that are open to normal traffic and this event may be cancelled and not re-scheduled due to inclement weather. This ride is FREE for all Cedar Valley Cyclists Members and $10 for non-members.